When it comes to going Paleo, many people agree with it in theory, but they have no idea how to actually make it part of their lives. It seems just too difficult. And I can sympathize with that because it is a major switch, especially if you've been eating the SAD (Standard American Diet). So many of us have been eating "healthy whole grains" as well as sugar and vegetable oils, and we are so stuck in that rut that even though we really want to get out, it seems impossible. Well I'm here today to tell you it isn't. I did it, and I'm going to share my story with the hope that it will give you some ideas on how you can do it as well. I wasn't successful right away. I first tried doing Paleo Primal bit by bit but found pretty quickly that didn't work. This on and off stage for me lasted a couple of months. I'd do really well for a few days and then I'd find myself craving a sandwich or a sweet dessert and I was back to square one. Which, when you really think about it, is not surprising. Grain and sugar are both addictive. Why do you think they tell you you're going to have major headaches and cravings? It's as hard to give them up as it is to give up cigarettes or drugs and a lot of people who have done both will tell you that changing their diet was by far the hardest. You don't have to have cigarettes or drugs. You do have to eat. Which of course is why they tell you to go cold turkey when you're giving up drugs and cigarettes, and I think you pretty well have to do the same with the 4 bad guys of Paleo - legumes, vegetable oils, grains and sugar. For me legumes and oils were not a problem. There are a lot of other alternative oils to use and I never particularly liked legumes anyway. But sugar and grains was a different story. I was definitely addicted to both those things and trying to just cut down didn't work. It had to be all or nothing for me. So how was I going to do this? What finally gave me the idea that worked was watching a news story about yet another celebrity going into rehab, and thinking how easy it was for them because they had someone to get them everything they needed. All they had to do was show up. And then I thought, why not set it up for myself ? Why not prepare everything in advance and then put aside three days to do nothing else but get used to it? 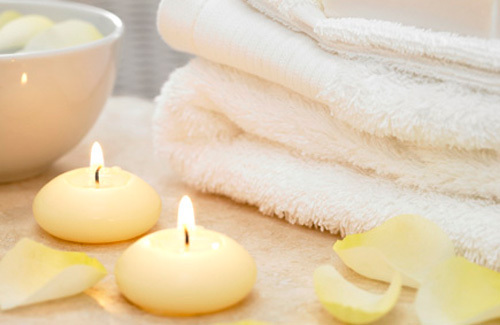 Sort of like a mini rehab that I made just for me. 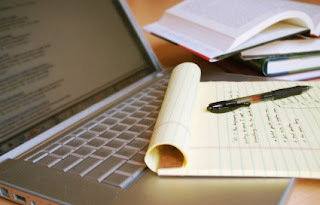 I knew I had a few days coming up with no commitments that I could take totally for myself, so that was going to be the ideal time to try my plan. That was the first part in place, but there was also another part that was just as important. I had to make sure I had everything I needed, including some substitutes for the things that I knew I would crave the most - cookies, bread and pasta. First I did lots of research and found some good replacements. I looked for coconut oil, coconut flour and almond flour online and ordered some, then I tried a few recipes until I found ones that I really liked and I knew I could use instead of the grain versions. 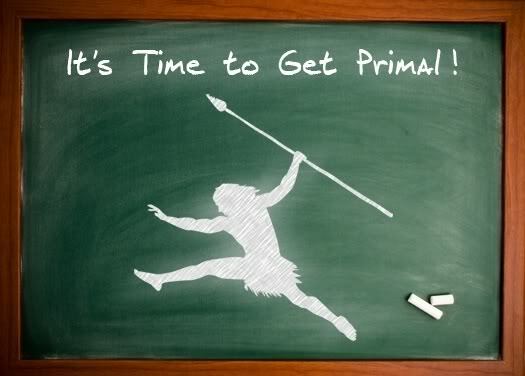 The reason I decided I could do Mark Sisson's version of Paleo - the Primal Blueprint - was because of his 80/20 rule. He believes if you stick to the plan 80% of the time you're doing well. He tells you to plan to stick to it completely, but then when things happen (which they always do) you'll be covered. I figured I could use this to my advantage when I was getting use to the plan. I knew I would need all the leeway I could get at first if I was going to have a chance of making this a lifestyle, and I also knew that even if I started out using the substitutes more than was recommended, that was fine. The main thing was to get over the initial hump, then I could work on refining it. I also bought some 70% organic dark chocolate and a couple of bottles of really nice California Merlot. (my favourite wine.) I love my wine and chocolate and I knew that with a small glass of wine and a couple of squares of chocolate a night I could do this. Yes, combined with the toast in the morning it was definitely pushing the 20% boundary, but you have to start somewhere and as far as I was concerned, it was certainly better than not doing it at all. I also bought myself some really nice top quality sheets. I knew I wasn't going to be feeling all that great for a while so I wanted to be prepared to do a lot of lounging. Then I set aside a day for a major Paleo cooking session and made a big crockpot full of my favourite soup and another one of my Italian meat sauce. I baked a loaf of Paleo nut bread and some chicken breasts for my lunch salads. I hard-boiled half a dozen eggs. And I finished off my cooking day by making gnocci and creamy cauliflower which I froze in individual servings. Then I went shopping and bought basics - organic salad greens and fresh vegetables, a couple of containers of organic berries, butter, organic eggs, some ham and pickles for snacks, and some frozen shrimps I could quickly pan fry when I got sick of eating meat. And of course some heavy cream for my coffee. And I have to admit I bought some salad dressing as well. I bought the kind you get in the fridge section which is at least fresh, but still has vegetable oils in it. If I had to do it over again I'd make my own now dressing recipes, but at the time I didn't realize just how easy it was. Lastly I realized that having books to read and movies to watch was all well and good, but when the cravings started and I felt like crap I knew I would need something to keep me motivated as well. That's why I made a vision board for myself. For those of you who don't know, a vision board is basically a large collage that you make to hang on your wall and have as a visual reminder of where you want to go. They talk about making these a lot in goal setting books, and for me it was the right motivator because I'm so visual. For those who are more audio, affirmations or listening to podcasts would probably be more appropriate. You have to find what works for you. 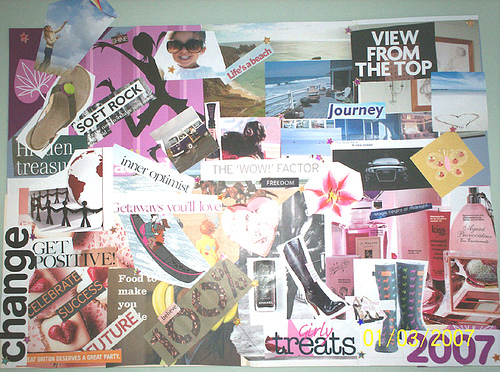 To make a vision board you just need a large piece of cardboard or poster paper, a pair of scissors, a glue stick, and a pile of your old favourite magazines. Then put on some of your favourite music, light a couple of scented candles, and go through the magazines, cutting out anything that strikes you. It doesn't even have to make any sense - pictures, phrases, and even just words that seem significant in some way is what you want. Focusing on your goals in general is a great way to help yourself attain them, and certainly focusing on why I was doing this with the help of my storyboard, helped me during the worst part of the transition to Primal Eating. Once the weekend came I was all set. I told everyone that I wasn't feeling well and not to disturb me and I locked myself away at home with my cat. My version of Rehab you could say. I wish I could tell you it was totally painless but I can't. I really did feel like I was sick most of the weekend. I was tired, I had headaches, and I slept A LOT. And I did have cravings. Lots of them. 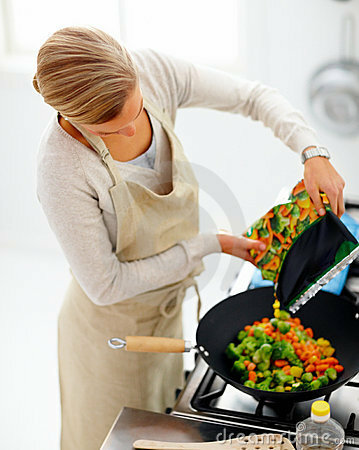 But having everything prepared ahead of time made all the difference. It allowed me to take it easy and to eat when I was hungry. When I had cravings there was healthy food all ready that I could eat instead. When I felt tired and had no energy I could read, watch movies or just have a nap. 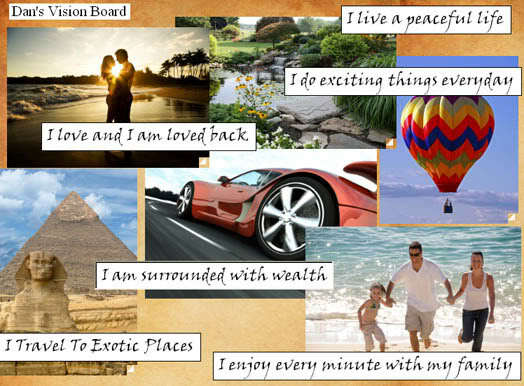 And when it all started to feel like too much, I had my vision board to remind me of why I wanted to do this. Yes it was still hard, but with having all this worked out and ready ahead of time, it was a lot more doable. And after the third day I really did feel a lot better. The headache finally went away and so did the cravings. I suddenly found that I wasn't hungry all the time and I really had no desire for all the junk food I'd craved in the past. And you can't imagine how great it felt not to constantly be at the mercy of my ferocious appetite! For me it took about a month to really feel a big difference. It was only after that time that I realized that I didn't have the joint pain, the sleeping problems or the lack of energy that I'd been living with in the last few years. After that initial weekend I had no problem continuing with this Paleo Primal eating plan. I made sure I was always stocked up with my substitutes, and gradually it just became my way of life. And now, even though it's only been just over three months since that first weekend, my eating habits have really changed for the better. 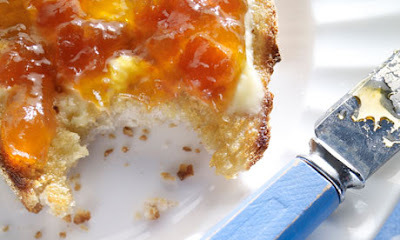 I've actually given up my breakfast toast (gasp!) other than on Sunday when I have it as a treat. I just don't need it any longer. We all have different addictions. Thankfully I didn't have the soda habit because I had dropped that years ago by taking up drinking Perrier with lime and herbal teas instead. If this is an issue with you, see if you can find a substitute that will work for you. 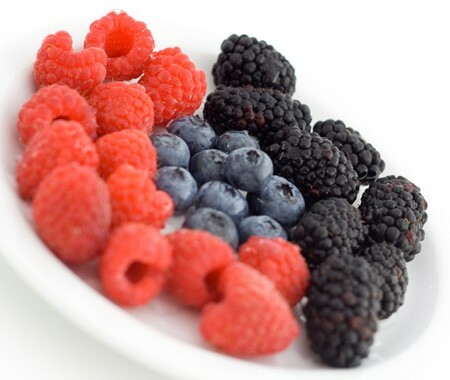 If other sweet foods are your addiction like they were for me, try the berry route I took. I read about this technique somewhere and I figured it was worth a shot. Whenever I really craved something sweet I'd put a small handful of berries on a saucer and eat them one at a time. I made it a rule that I could only eat them if I was fully present and concentrating on the taste. No eating while reading or watching TV. And it's amazing how that really worked to get me through .... and how wonderful those berries tasted! I'm not saying my way will work for everyone, and I'm certainly not recommending you eat what I do. We are all different. I'm just relating my story with the hope that it will get you thinking about what you can do to make the change easier for yourself. And hopefully as well, reading someone else's success will inspire you to go for your own. Believe me, there is nothing like feeling alive and fully yourself again. Your health is your best asset. Take care of it. Really like this! Your site is a wealth of information. As for me I recently stopped drinking cows milk and the effect on my acne has been huge. I no longer have the painful spots from before. So my interest in food sensitivities has been piqued, which has bought me to Paleo and you. I am looking forward to this journey! It seems as though the links to your recipes, mid-post, are not working. I still struggle with addiction to soda and candy. I am much better, but there are sometimes when I just crave them and don't even bother to try to fight the craving. Then, that giving in makes me want another candy / soda the next day. Which sends me on a downward slope that is terrible. I'm glad that you pointed out the 80/20 approach. I know what you mean about the cravings Michelle. 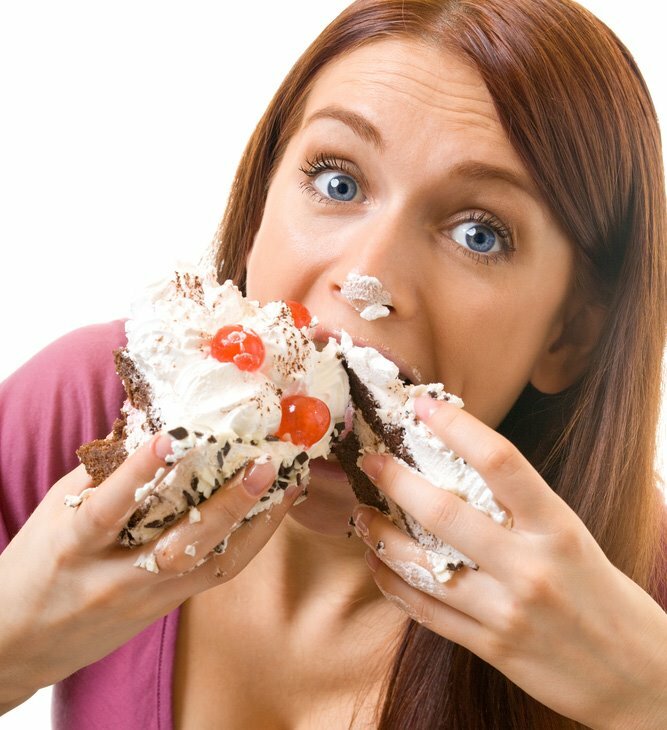 I think if most people are really honest they will admit that cravings never really go away 100% even for the most devout Paleo eater. I know mine haven't and I've been eating this way for a couple of years now. You just do the best you can do, and that's where the 80/20 approach is so much more realistic. 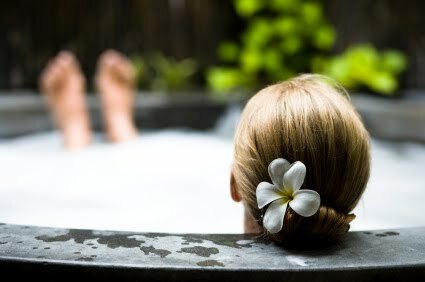 If you try and cut out the bad stuff most of the time it does make the cravings a lot less frequent, and if you don't expect to be perfect you can just enjoy the occasional indulgence without feeling guilty and know you are still doing much better than most people. 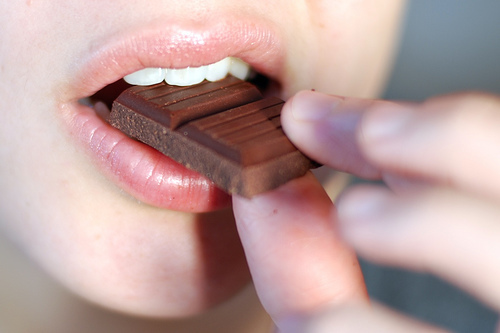 As for cravings causing a downward spiral, I've been there as well. It's disheartening and sometimes you feel like you're starting from square one again, but I find having something healthy to snack on in my fridge really helps. That's why I have a lot of recipes here for desserts. It's not that I think you need to eat them at every meal, but having something in your fridge or freezer when that craving hits means you indulge in a healthy Paleo sweet instead of some processed crap ....and that's a definite improvement.